Due to the resignation of the Female Parent Nominee of the Deele College, Board of Management a vacancy has arisen for the remaining period (Summer 2019) of the current Board of Management. 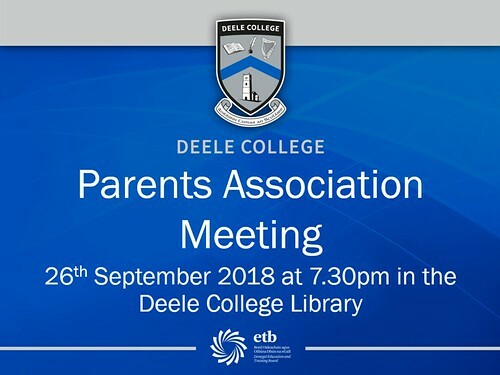 As secretary of the Board of Management and Principal of Deele College, I write to invite nominations for the vacancy of Female Parent Nominee for the Deele College Board of Management. 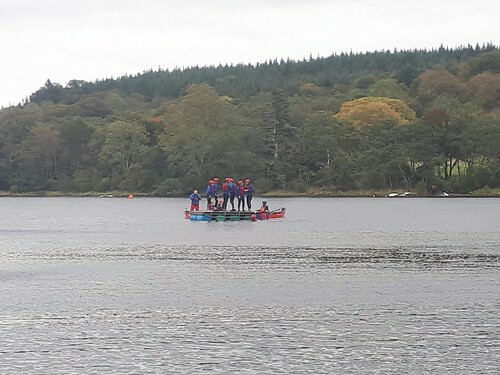 Well done to all the 5 LCA Students that traveled to Gartan on 25th of September for a day full of action and activities. The staff of Deele College gathered on Friday afternoon last to mark the retirement of Canon Dinny McGettigan, who has been an integral member of both the Deele College community and the Raphoe community for the past twenty five years. 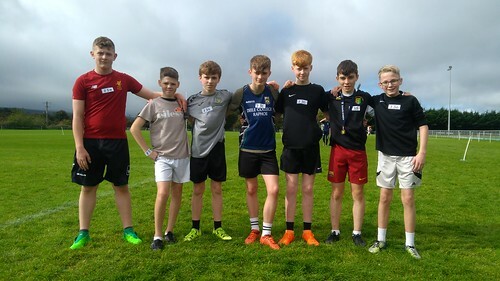 Canon McGettigan has always been a popular figure in the corridors of the school, providing a friendly ear and words of advice and encouragement to students and staff members alike, so it was no surprise to see such a warm reception for the Kilmacrennan native. 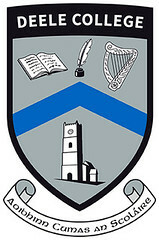 For more information visit www.hpv.ie or click here. Are you a Parent, Guidance Counsellor or Principal? 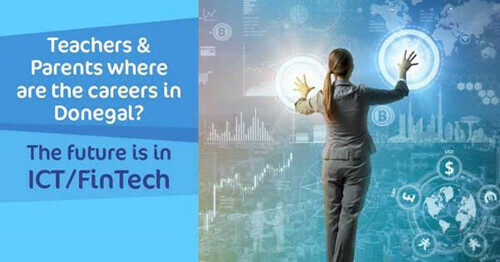 Find out more about career and education opportunities for your children and students in the areas of ICT, Finance & Technology (FinTech) in Donegal. 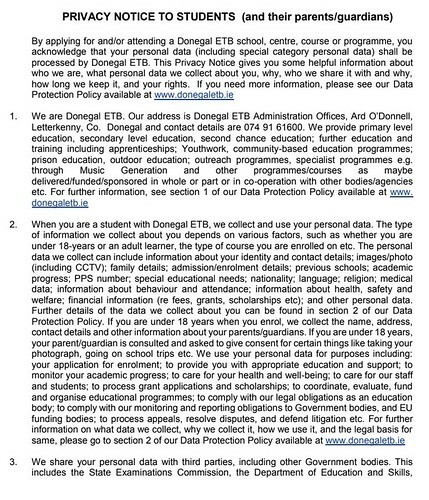 The ‘Donegal ICT / FinTech Working Group’ wants to tell you more! 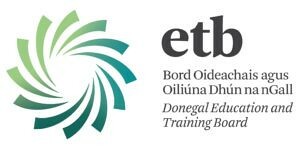 The Donegal ICT/FinTech Working Group is comprised of many of the leading international employers based in the county including Pramerica, Optum, SITA, Randox, Gartan Technologies and is supported by Donegal Education and Training Board (ETB) and Letterkenny Institute of Technology (LYIT). 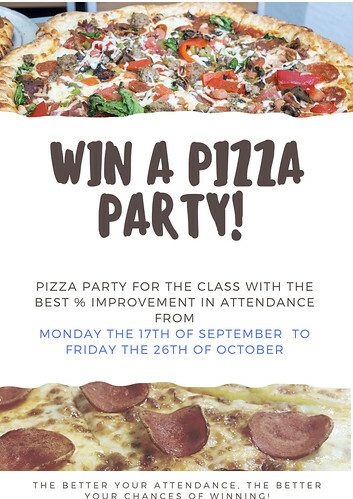 Win A Pizza Party ! Congratulations to Ellie Barron, Saffron Porter and Stephanie Harper. 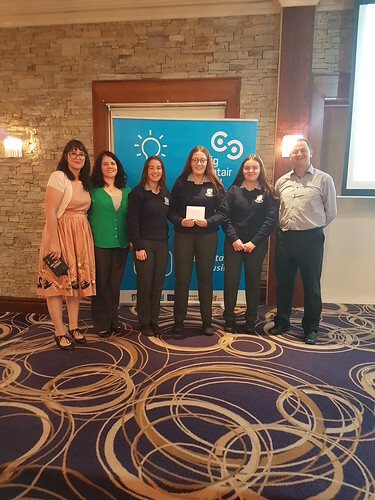 The girls were awarded joint first today at the LEO local enterprise work shop for mini companies at the silver Tassie.